State Department slams Tehran's latest move but Revolutionary Guard chief says new missiles part of defensive posture. * * * The United States has vowed to remain "relentless" in pressuring Iran to deter its missile programme after the Islamic Republic unveiled a new ballistic weapon days after testing a cruise missile. Iran's Islamic Revolutionary Guard Corps (IRGC) revealed a new ballistic missile with a range of 1,000km, their official news agency Sepah News reported late on Thursday, a development that Tehran maintains is part of its defence capability. 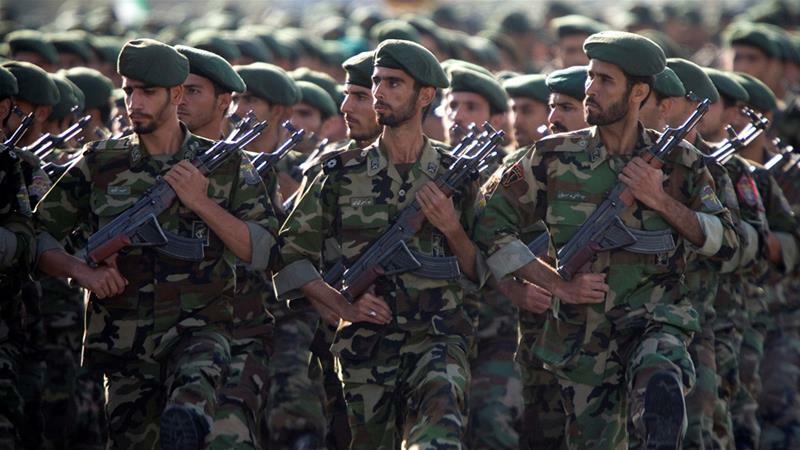 "Iran’s defensive capability is deterrent [in nature] and in line with preserving its national security, and it cannot be subjected to any transaction or negotiation," Major General Mohammad Ali Jafari, commander of the IRGC, said. The IRGC's surface-to-surface missile, dubbed Dezful after a city in western Iran, has a shorter range than the Hoveizeh cruise missile it tested earlier this month. 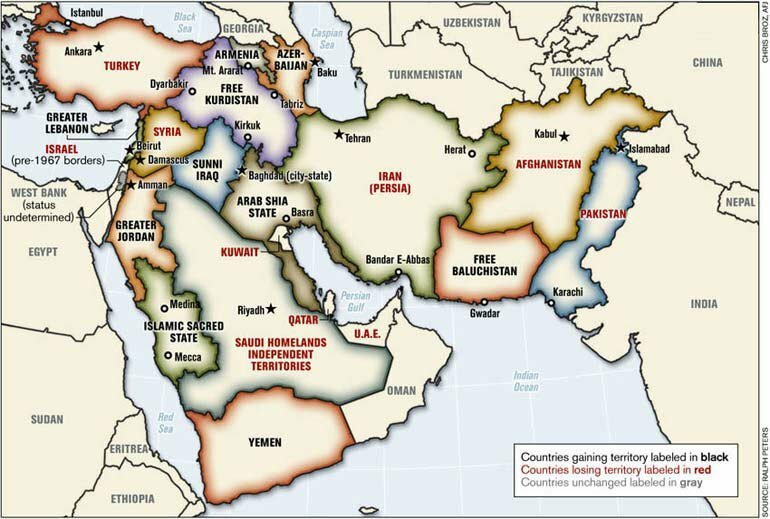 It is also within the 2,000km range that Iran has voluntarily set for itself, although it is sufficient to reach Israel and Western military bases in the Middle East. According to experts, a missile requires a 10,000km range to reach the US. The IRGC is under the command of Iran's Supreme Leader Ayatollah Ali Khamenei. The move was the latest show of military might by the country, as it celebrates the 40th anniversary of the Islamic Revolution at a time of heightened tensions with the US. "Iran's blatant disregard for international norms must be addressed," State Department deputy spokesman Robert Palladino said in a statement on Thursday. "We must bring back tougher international restrictions to deter Iran's missile programme," he added. "The United States will continue to be relentless in building support around the world to confront the Iranian regime's reckless ballistic missile activity, and we will continue to impose sufficient pressure on the regime so that it changes its malign behaviour - including by fully implementing all of our sanctions." Tehran reined in most of its nuclear programme under a landmark 2015 deal with major powers but has kept up development of its ballistic missile technology, as part of its defence strategy. United Nations Security Council Resolution 2231 - adopted just after the nuclear deal - calls on Iran "not to undertake any activity related to ballistic missiles designed to be capable of delivering nuclear weapons". Tehran insists that its missile development programme is "purely defensive" and compliant with the UN resolution, adding that it is not pursuing any nuclear weapons programme. The UN nuclear watchdog, IAEA, also said in its latest report that Iran continues to abide by the nuclear agreement, also known as the Joint Comprehensive Plan of Action (JCPOA). President Donald Trump pulled the US out of the nuclear accord in May and reimposed sanctions on Iran, citing the missile programme among its reasons for withdrawing. "Iran's latest missile launch again proves the Iran deal is doing nothing to stop Iran's missile programme," Secretary of State Mike Pompeo tweeted late on Thursday. Iran and the other signatories have stuck by the 2015 agreement, although some European governments have demanded an addition to address Tehran's ballistic missile programme and its intervention in regional conflicts. On Thursday, Jafari, the IRGC commander, insisted that Iran's ballistic missile programme is non-negotiable, reflecting a long-standing policy of Tehran. 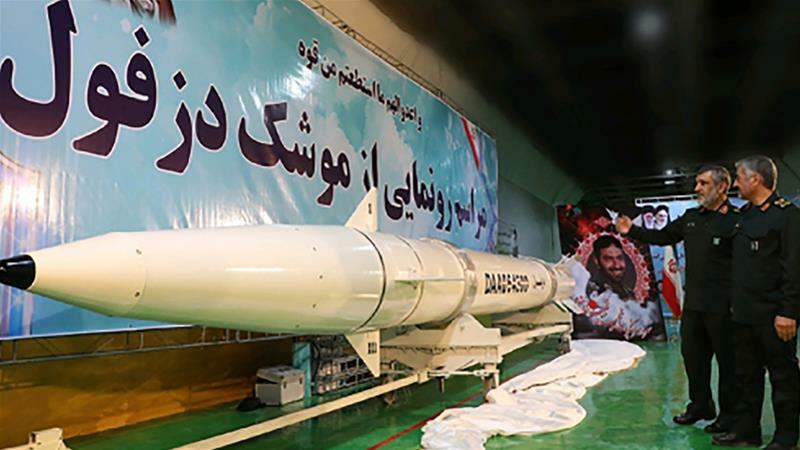 Al Jazeera's Zein Basrawi, reporting from Tehran, said that the unveiling of the latest missile "is a signal by Iran to its enemies, that they have the ability to retaliate when fired upon". Armoured personnel carrier, mobile watch tower and armoured vehicles were also unveiled on Thursday by the Iranian army's ground forces, according to Mehr news agency.